The BEEHAVE model was developped in order to simulate the hive population dynamics by considering environmental factors that may influence foraging ability and infectious agents (the Varroa mite and two associated viruses) and other population dynamic parameters that may impact the colony development. Where relevant the EFSA Panel on Pant Protection Products and their Residues (PPR) evaluated its potential use in a regulatory context. The corresponding statement has just been published (EFSA Journal 2015;13(6):4125). The overall conclusion is that BEEHAVE performs well in modelling honeybee colony dynamics, and the supporting documentation is generally good but does not fully meet the criteria of EFSA opinion on the good modelling practice (EFSA PPR Panel, 2014). It is not surprising since the BEEHAVE model was developed before the opinion was published and was not submitted in a regulatory context. According to the PPR Panel, the model is not yet usable in a regulatory context or to address the risk from multiple stressors at the landscape level. Recommendations for developing the model further are, for example, the development of a pesticide module, adding additional pathogens and interactions between pathogens, parasites and climatic conditions. The supporting data and default parameter values should be further evaluated and justified. The PPR Panel also recommends adopting the model as the basis for modelling the impact on honeybee colonies of pesticides and other stressors but further development should use a standard object-oriented language rather than the current modeling environment (NetLogo). As regards more specifically to pesticides issues, BEEHAVE is not yet usable in a regulatory context since a pesticide exposure and effect module is missing, Additional outputs would be required in order to interpret the endpoints within the regulatory context (e.g. exposure to pesticides of foragers, in-hive bees and larvae). BEEHAVE currently uses a very simple representation of a landscape. The current set of default parameter values cannot cover ‘realistic worst case’ scenarios for all regulatory zones. Indeed, there is only one environmental scenario in the present version (European central zone—weather scenarios for Germany and the UK). When the model is developed further for pesticide authorisation for the EU (Regulation 1107/2009), at least one representative realistic worst-case scenario for each of the three regulatory zones should be developed, including realistic worst case weather files. Therefore the model can neither currently be used instead of field studies in higher tiers of the pesticide risk assessment nor to answer questions related to mitigation of the risk from pesticide applications. The draft of Ecophyto II Plan is in public consultation from 8 to 29 June 2015. Lynxee consulting read for you the draft plan and offers this summary containing highlights. The objective of 50% reduction in the use of plant protection products in France in ten years is reaffirmed, with a two-stage approach. First, in 2020, a reduction of 25% is targeted by the generalisation and optimisation of techniques currently available. Then, a 50% reduction by 2025. A test of certificates for plant protection products savings (certificats d’économies de produits phytopharmaceutiques (CEPP)) will be established in France for 5 years from 1 January 2016. 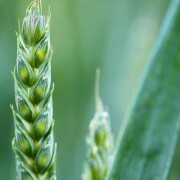 It will contribute to the dissemination and wide sharing of techniques for reducing the use of plant protection products. 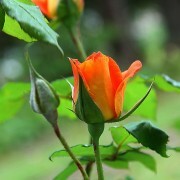 For biocontrol products, the support for applications for approval will be strengthened for innovative applications. More generally, support for investment may be granted in order to promote the emergence of innovative French companies in the field of biocontrol. The French authorities will ensure better consideration of biocontrol solutions within the framework of European regulation, including working on guidance documents on micro-organisms, pheromones and biopesticides. The list of biocontrol products still authorised for use after the deadlines of the law “Labbé” will be established before 1 January 2016, circulated widely and regularly updated. Home and garden products will not be accessible self-service (and online) from 1 January 2018, but only through a salesperson certified and having knowledge in IPM. Biocontrol products will not be affected by this measure. The Plant Health Report (Bulletin de Santé du Végétal) will be complemented by the presentation of alternative methods and prophylactic measures. A Plant protection products monitoring Plan (“Phytopharmacovigilance”) will be implemented by Anses. 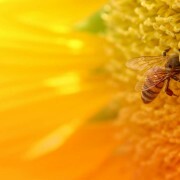 Its purpose is the monitoring of adverse effects of plant protection products on humans, on livestock, including honeybees, on crops, on biodiversity, on wildlife, on water and soil, on air quality and on foods, and on the emergence of resistance to these products and alert the relevant authorities when adverse effects seem to require special management measures. The analysis of monitoring data may lead, if necessary, to amend or withdraw authorisations of approval of plant protection products, to propose specific management measures, or to change guidelines for the assessment of plant protection products in compliance with European regulations. The Plant protection products monitoring Plan will receive ad hoc funding taken from the turnover of plant protection products distributors. 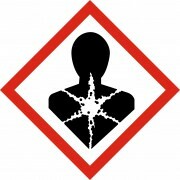 A proactive action of awareness will be conducted by France to the other Member-States of the European Union and the European Commissioners for their share the need to strengthen restrictions on use and remove as soon as possible products containing substances for which hazards to human health or biodiversity (including CMR, glyphosate, endocrine disruptors, neonitocotinoids) are known or strongly suspected. The terms of issue of plant protection products authorisations will be reviewed so that approvals incorporate differentiated doses depending on growth stage. A guidance document on IPM will be developed with the support of technical institutes with a view to reduction and improvement of the use of plant protection products. Commission Regulation (EU) 2015/830 published on 29 May 2015 in the Official Journal of the European Union amends the requirements regarding Safety Data Sheets (SDS) under Annex II to REACH, this Annex being applicable to substances and mixtures from 1 June 2015. With this reviewed Annex II, European Commission aims, on the one hand, at avoiding any confusion resulting from two conflicting amendments both of which coming into force on 1 June 2015 (i.e. CLP Regulation (EC) 1272/2008 and Regulation (EU) 453/2010 amending Regulation (EC) 1907/2006) and, on the other hand, at complying with the 5th revision of the Globally Harmonised System (GHS) rules. This regulation also specifies that safety data sheets provided to any recipient before 1 June 2015 may continue to be used until 31 May 2017. EUROPA: new dRR format available! The new draft Registration Report (dRR) format is now available on Europa website! The present templates (March 2015) should be used for applications for authorisation, amendment of authorisation and renewal of authorisation of plant protection products as from 1 January 2016. Previous revisions of the templates may be used for applications for re-authorisation of plant protection products containing active substances renewed in accordance with Regulation (EU) No 1141/2010. However, applicants may choose to already use the present templates (March 2015) for these re-authorisations. – The presentation of the different GAPs has been streamlined. At last, a template with macros helping for formatting is available. Lynxee consulting will be happy to help you with this new format! 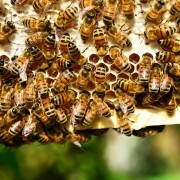 Two years after the decision to restrict the use of three neonicotinoid insecticides (clothianidin, thiamethoxam and imidacloprid), EFSA issued on 22/05/2015 a call for data on the risks posed to bees by these neonicotinoid pesticides applied as seed treatments and granules in the EU. Interested parties are urged to provide EFSA with literature data, study reports, national evaluation and/or monitoring data relevant to the evaluation of the risk to honeybees, bumble bees and solitary bees from the uses of the above three substances. The closing date for submission of information is 30 September 2015. As a second step, upon receipt of a follow-up mandate from the European Commission, EFSA will then review the material and offer conclusions concerning an updated risk assessment. EFSA is also currently assessing the risks to bees from foliar uses of these three substances. The Authority will finalise its conclusions by the end of July.